As a PR specialist, writing a press release is part of your daily routine. You have to do it to connect to the audiences you care about. And if you want to get coverage, it has to be top-notch to grab the media’s attention. So why not spend less time on choosing the right format and focus on writing great content? 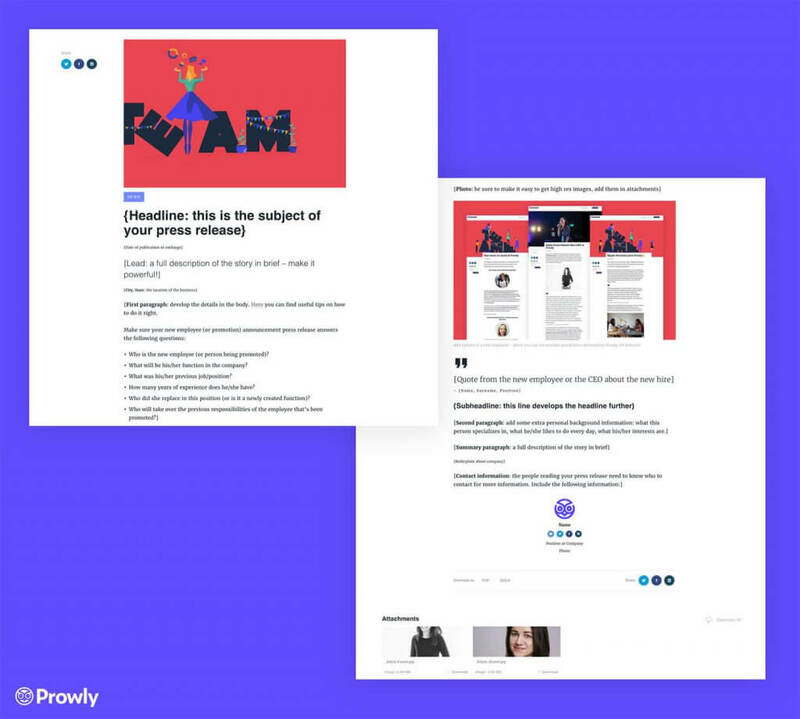 We’ve prepared 13 free press release templates examples created with Prowly’s Press Release Creator that you can use and download – and learn how to target different audiences. If you’re a PR pro, I’m pretty sure writing press releases is a big part of your job, whether you like it or not. This is the reality of the industry. And even the pervasive technological progress hasn’t changed much in this area—press releases are alive and well. We’ve checked. The situation is not so great for relationships, though. According to the latest study by MuckRuck and Zeno, roughly half of journalists (52% in the US and 45% outside the US) said they consider relationships with PR pros and agencies “mutually beneficial, but not quite a partnership.” Though only 22% of reporters globally think of PR pros as “a necessary evil,” far less (4%) overall consider them partners. You won’t change any of this by sending out bad press releases. How do you write a news release the media will be fighting over? This is something you’ll learn from this post. 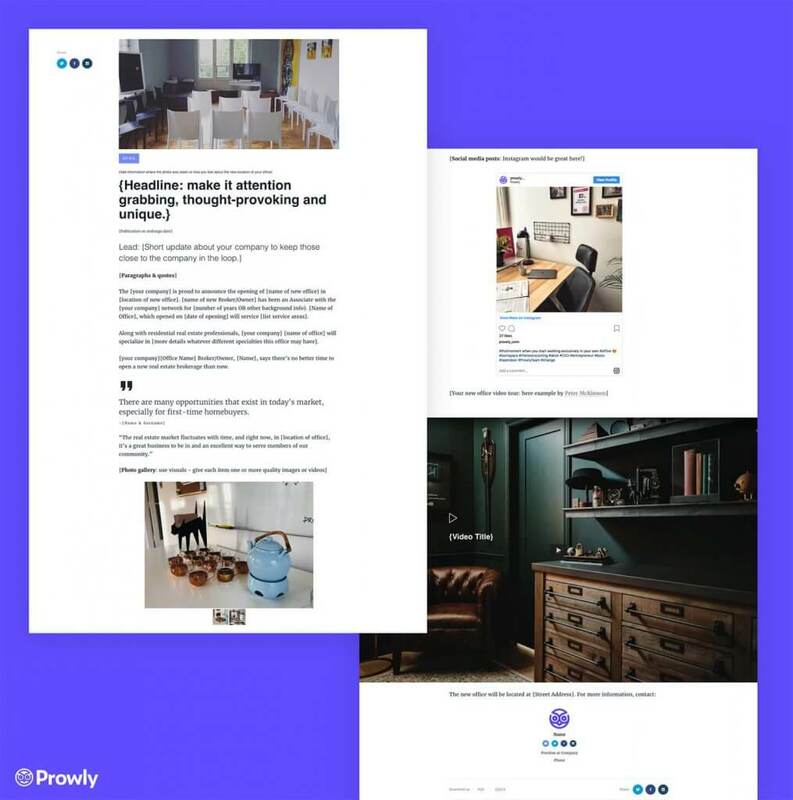 The whole process, including press release distribution, is indeed quite time consuming, which is why we’ve prepared a few templates for you to help you create effective press releases in no time. Each of them can be downloaded as a PDF or Word file so you can use them whenever you want. 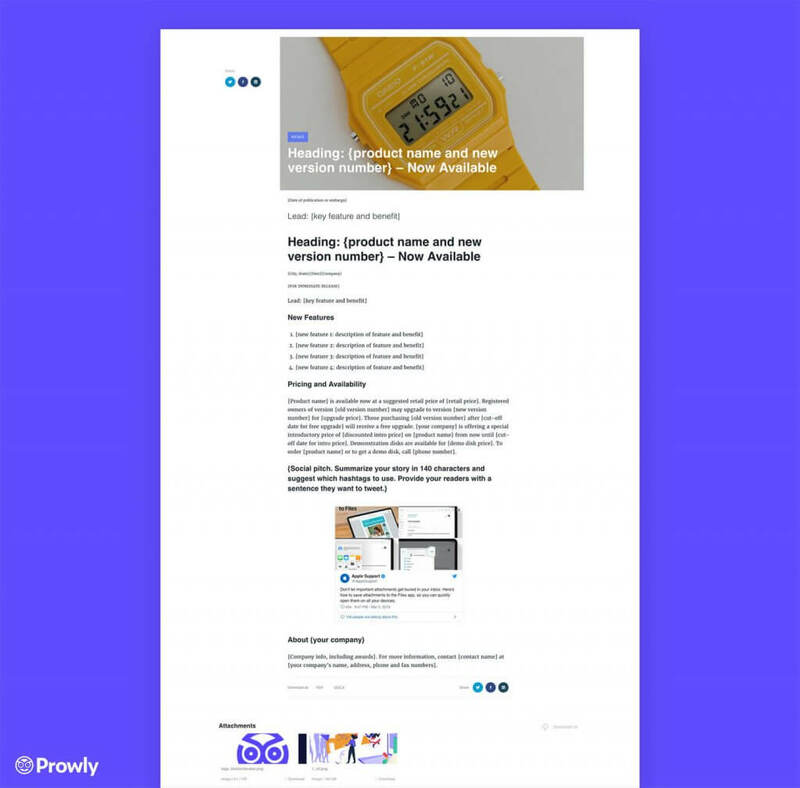 I’ve also thrown in some press release examples that may inspire you to experiment with different formats in the future. What elements should every press release contain? Headline – a taster of what you can expect. Lead – a brief overview of the story, including answers to the questions: Who? What? When? Why? With what effect? Body – an explanation of the information provided earlier in the lead, starting from the most newsworthy info to other less important, background info. Dateline – to confirm that you’re providing the most up-to-date information. Company info – a short paragraph about your company to help journalists understand the nature of the business and make writing about it easier. Media contact information – author or company’s/agency’s contact information. Is the editorial office to which I’m addressing your story interested in covering news such as yours? Does the journalist to whom my news story is addressed deal with stories like these? Will the journalist/editorial office to which I addressed my story find everything they need in it to write a noteworthy news release? What’s the most important element of my press release and will the editorial office to which I’m addressing my release be at all interested in similar topics/find a reason to publish my story? Press Release Definition – What Exactly is a Press Release, Anyway? 6 Really Bad Press Release Examples That You Should Be Ashamed Of – Don’t Go There! Accuracy is extremely important here—don’t forget to include the event’s name, venue, organizer. 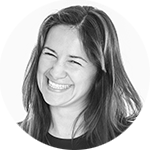 If you invited experts to speak at your event, provide a brief description of their profiles. When planning their presence at various conferences, journalists want to know ahead of time who they will be talking to and about what. If you intend on sending out invitations, make sure journalists know when and where they should RSVP. Don’t just throw the event’s title and a link to its Facebook page in your release—it’s extremely bad practice. If you’re writing about a past event, make sure you include quality photos (captioned with the photographer’s name). Note: try not to jam the journalist’s inbox with files that are too large. 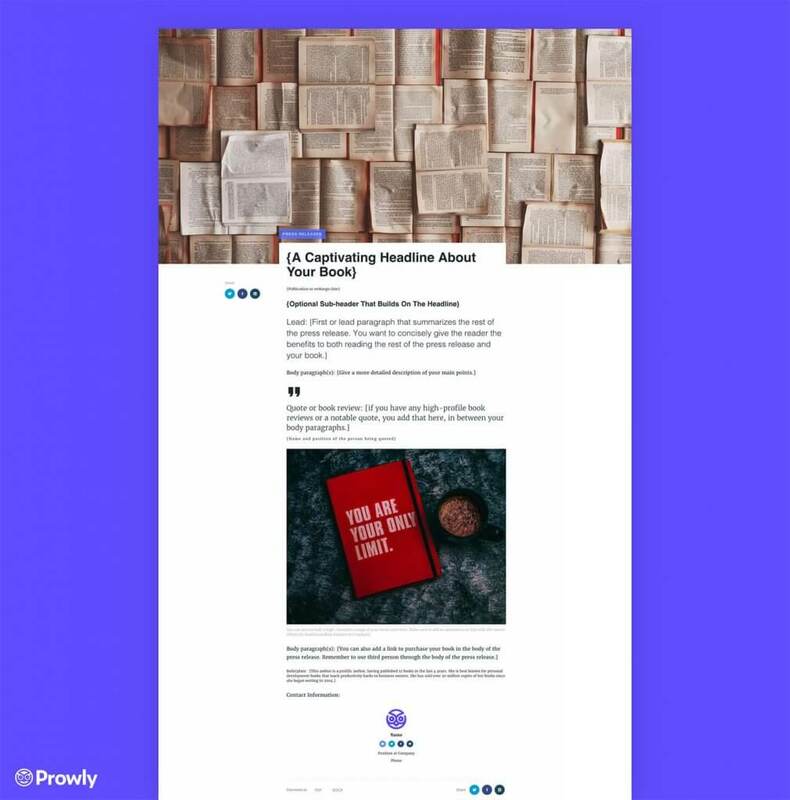 You can use tools to help you compress these files or refer the readers to your online newsroom where they can view all the images and download the ones they select in their original size. Use this template whenever you want to tell the world about a new album or single release or a new gig coming up. 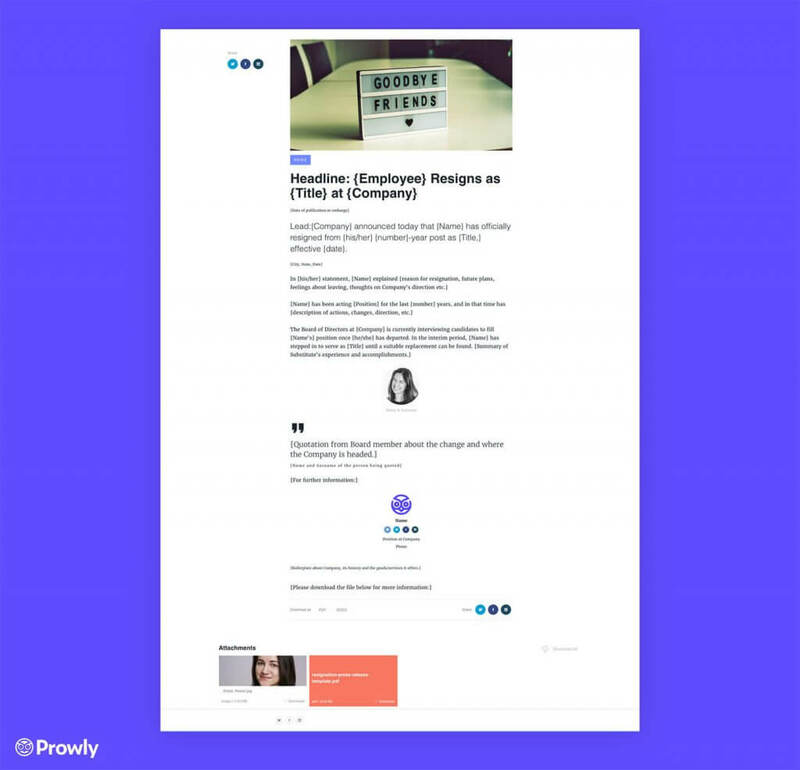 Add a teaser to your press release—it’s possible when you’re publishing your news online! All you have to do is embed a SoundCloud or YT code into your story. Also, mention the genre your album fits into. Don’t forget to include a brief note about the artist and what links them to your brand. If there are partners involved in the project (e.g. artistic patronage), make sure you mention them, too. Journalists will also appreciate some quotes, images, or cover design. Some excerpts from reviews of an album/concert will be welcome, too. New book releases are generally similar to music album releases, but experts on the subject frequently recommend adding something extra to such a press release: an excerpt from the book, quotes from the latest reviews, info on the writer’s conference, the author’s bio, or a list of past publications or awards. Bubble T Cosmetics: Bubble T launches the Curated Collection, as loved by influencer Ling.KT! Why is it worth writing about this particular product? How will it contribute to the consumers’ lives? What makes it different from other products? Can you somehow compare it to the products offered by your competitors? Try to avoid statements like, “we’re happy to announce/inform,” “we have the honor to present,” etc. Focus on specifics. Check out the included press release example above! 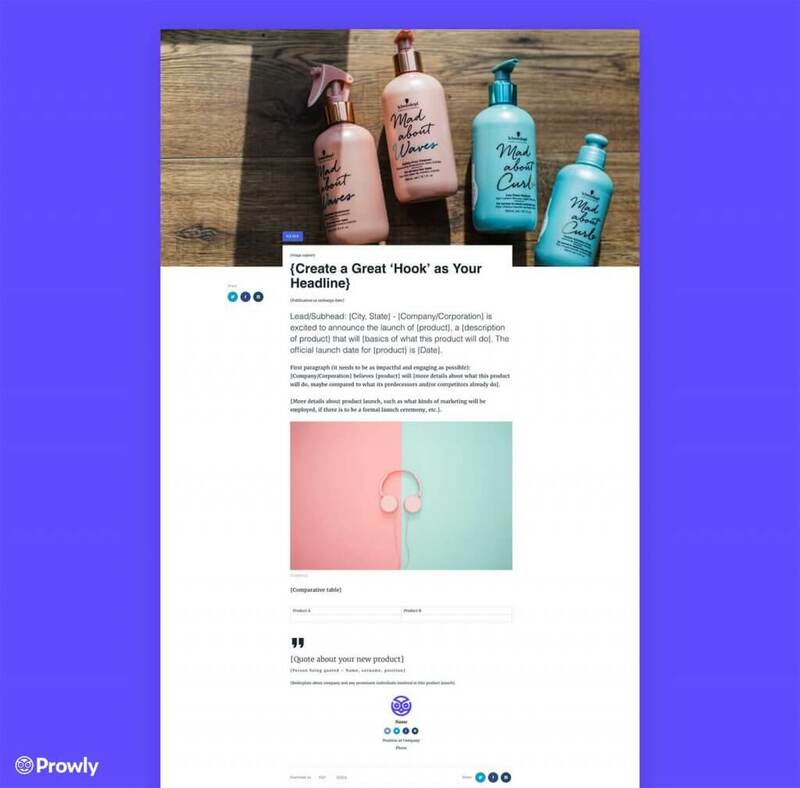 You’re just about to update your service with a cool new feature or refresh your products and want everyone to know about it? Tell them what has changed and why already in the lead. Explain why it’ll be a change for the better—make sure the reader is absolutely certain that the update you’re about to implement isn’t going to be just another complication. Consider presenting such a comparison/summary in the form of a table. If this press release is addressed to users and not the media, it should include the contact details of people in charge of customer support, just in case they have some extra questions. Tutorial videos will also be great to guide the users through the most important changes. So you just hired new talent and you’re wondering how to inform the media of this fact and secure as many publications on this subject as possible? 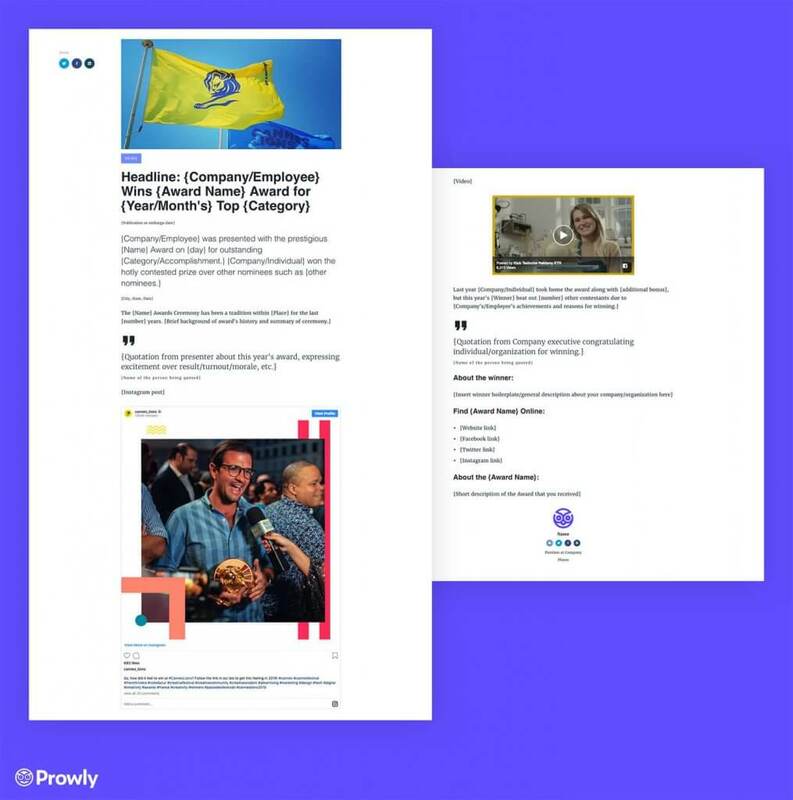 Check out our dedicated new hire press release guide and examples and the template above make sure you include all important elements in your release. Leaving the company—especially when the person concerned is a public persona—is always an interesting topic for the media. It’s worth mentioning whether a particular news story was embargoed or restricted or whether we are sending it out as an exclusive piece. State the reason for leaving, include information on who will replace this person, and/or add a quote from your CEO or the expert who’s left. New office = new you? Make sure the world knows about it! Add a few photographs from the opening or team building event, a making-of or a short video of one of your teammates showing the viewers around the new space. It’s also a good idea to include a map with directions that works both on mobile and desktop along with opening hours. Especially if you’re sending out an invitation instead of a cover story from the grand opening event. Adding a short bio of the company’s founder(s) and a brief note about the company is a standard worth keeping in mind. Use this template whenever you start cooperation with a brand that is important to you. Write about your mutual commitments, describe the project you will be working on together, add logos of both companies, graphics relating to your cooperation, contact details of people in charge of communication in both companies. Make sure to mention how long this partnership is to last! The most important question you must ask yourself if you’re undergoing a rebranding process is whether or not it will result in completely changing your target group. If so, it’s advisable to rethink your messages. What used to matter to your audiences could have lost its significance. It’s your day of celebration—a moment when you tell the world that you’re the best at something. And there are at least several ways for you to do it. The official one; where you focus on a catchy headline and lead, plus a body which will include information such as what type of award it is, who is presenting it and in what category, which competition edition it is, whether it’s gold, silver or bronze, what you are getting it for. 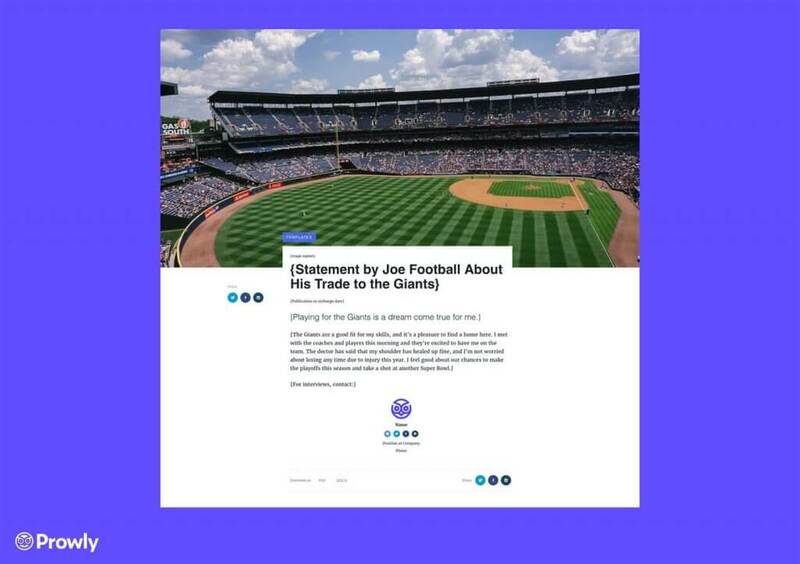 Or, you can use a more engaging social media press release where you can use GIFs, social media posts, links to other press releases, emojis, videos, and other multimedia. The most lifeless and official form. It is a decisive, often written, presentation of your position or beliefs. Most common statements include a statement of no criminal records, a declaration from the party at fault for a collision/accident or a declaration of will. Resignation from services also comes in the form of a statement/declaration. It must be short and to-the-point. There is no place for elaborate style and getting creative here. Oh, and one more thing—a press statement is not the same as a press release. New players, changes in the prices of tickets, victory/failure announcements, training camps, medals, playoff start dates, new tournament or team sponsors—these are examples of news topics sports audiences will be most interested in. This is also what sports journalists expect. 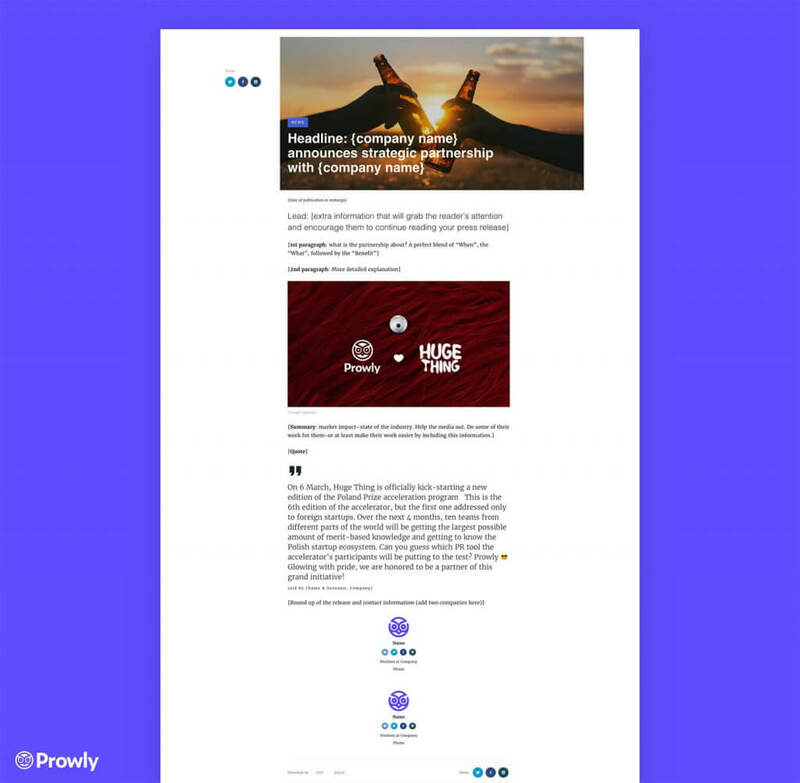 You can give them such stories in a visually attractive form and simple (in terms of UX) layout. You’ve got your press release – how do you send it for the best results? Adjust your message to the target group and carefully select the addressees of your mailing—if you’ve tagged your contacts or grouped them by sector/topic, you’re all good! Before you hit the send button, double-check if the contacts in your database are up-to-date—there’s no point in lowering your open rates. If there are journalists with whom you have a good relationship or ones that you particularly care about, send them your press release ahead of time or with some additional materials attached (e.g. a quote, data) that no one else will get. 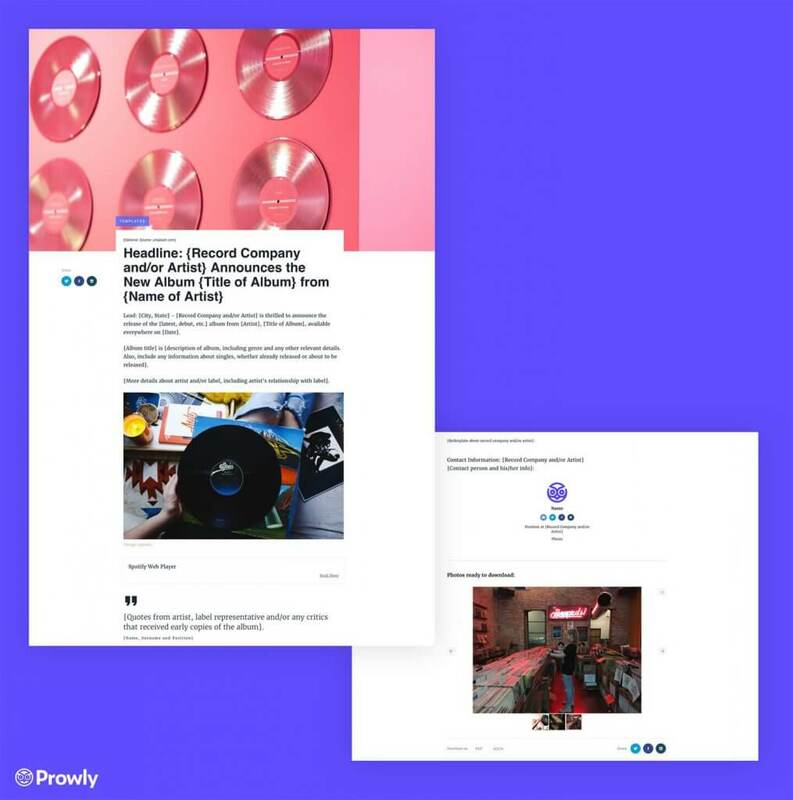 Add some multimedia to your press release using a link—this way, journalists get a title, lead, and link where they can find the whole text with images and graphics. It’s helpful, especially because such emails don’t take up too much space and you can always come back to the news later. If you have to send out some materials when you’re not sitting in front of your computer, plan your mailing ahead of time. Just make sure your client or boss approve the final version of your story. 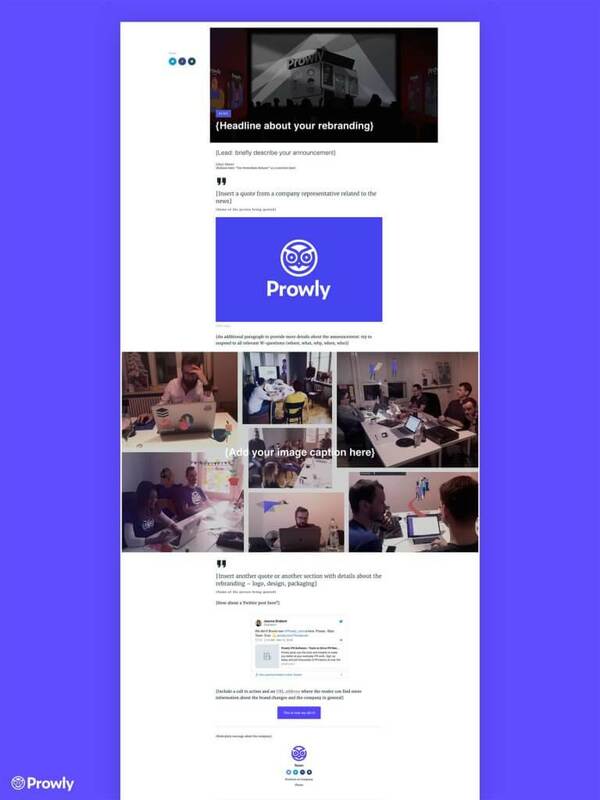 All these steps can be easily accomplished with Prowly PR Software. 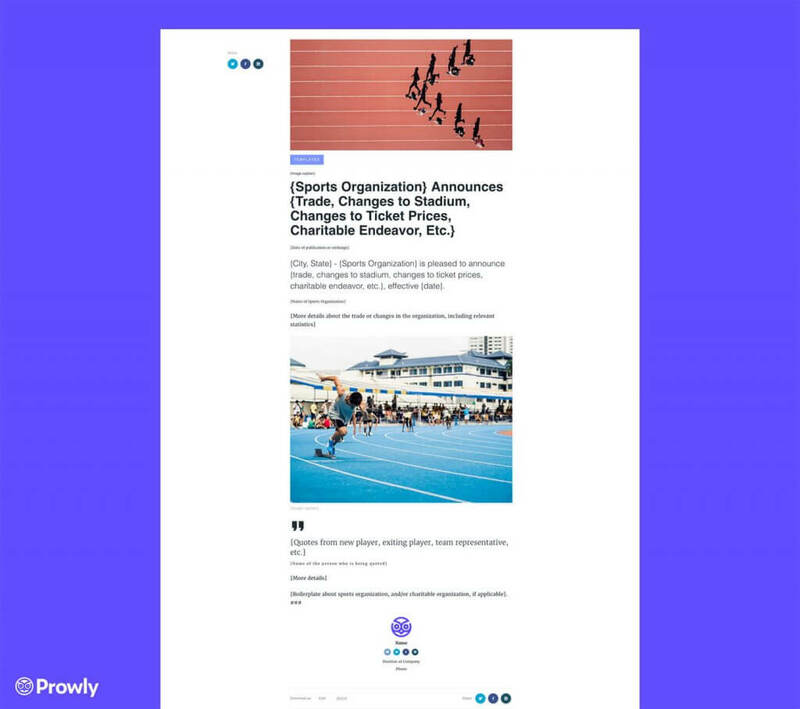 Find out how Prowly can help you simplify your PR workflow and engage the media. Test us for 7 days, 100% free, no CC required.